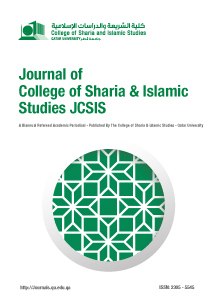 Copyright ©1980-2019 Journal of College of Sharia and Islamic Studies (JCSIS). 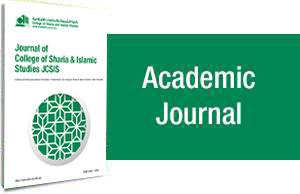 The JCSIS is an open access journal. Its articles are distributed under the terms of the Creative Commons Attribution-Non Commercial 4.0 International license (CC BY-NC 4.0), which permits any noncommercial use, distribution, and reproduction in any medium, provided the original author(s) and sources are credited.